Fitbit is tracking a fast path to value destruction. The wearable-device maker just proved how hard hardware can be. Turning a fad into a lasting business is even tougher. A weak holiday sales outlook sent investors running, and turned Fitbit into an educational financial exercise. The company capitalized on several trends. Mobile-phone growth made electronic components cheap and small enough to work in a bracelet. At the same time, obese consumers in developed countries were eager for ways to lose weight. The ubiquity of yellow LiveStrong wristbands helped make healthy look hip. Fitbit seized on it all with easy-to-use technology. Revenue boomed, growing nearly 10-fold in the two years before it went public in 2015. It’s hard to stay on top of the consumer-electronics world. Just ask Packard Bell, Palm, Kodak, TomTom, BlackBerry or GoPro. Nearly every high-tech gizmo eventually becomes either a commodity produced at cut-rate margins or subsumed into another one, usually a smartphone, which can do more. Apple’s watch is a case in point, even if Fitbit can keep ticking along for a while. Sales are expected to grow this holiday season, but only by 5 percent at most by the company’s own estimates. That projection on Wednesday knocked 30 percent off its value. Fitbit, whose market capitalization reached some $10 billion, now stands closer to $2 billion. Investors who were willing to stretch their return expectations beyond reason at least can use Fitbit to limber up the next time a hot gadget IPO comes to market. 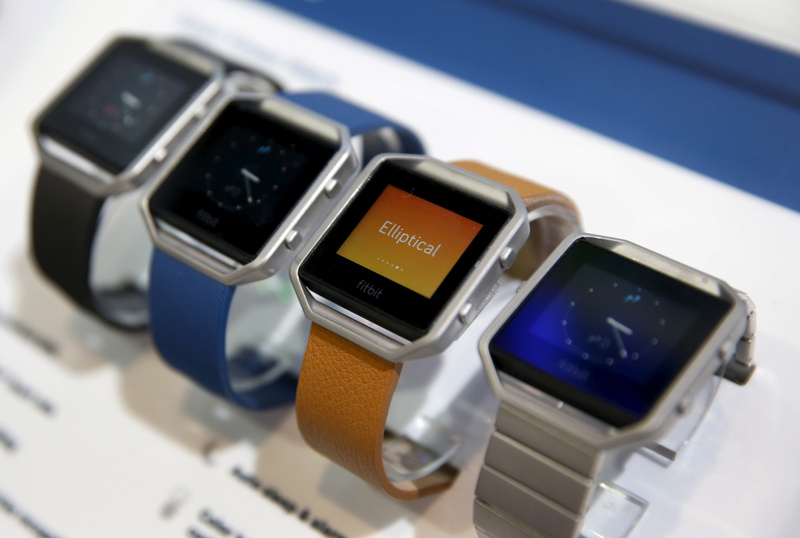 Fitbit Blaze watches are displayed during the 2016 CES trade show in Las Vegas, Nevada January 6, 2016. Fitbit said on Nov. 2 that it expects revenue of $725 million to $750 million in the fourth quarter, growth of 2 percent to 5 percent from a year ago. Analysts had been expecting sales of $985 million on average, according to estimates culled by Thomson Reuters. The company reported third-quarter revenue of $504 million, an increase of 23 percent from the same period last year. Following the announcements, Fitbit shares fell 30 percent in after-hours trading.